MAP's curriculum development and application program in China received a welcome boost last week when $25,000 was awarded by the Disney Friends for Change/Project Green towards the project. "We'd like to give a big thanks to all MAP's friends and supporters for voting for the project," says MAP's Education Director, Martin Keeley. 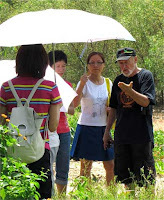 "The contribution will enable us to complete the translation and adaptation of our Teachers' Guide into Mandarin, for it to be reviewed by environmental educators and specialists in China to ensure its accuracy, and for a workshop to be held in the fall for 50 to 60 teachers." The workshop will be held in the southeastern City of Zhanjiang which is the central locat ion of the country's foremost and only government supported mangrove centre, the Zhanjiang National Mangrove Nature Reserve (ZNMNR). 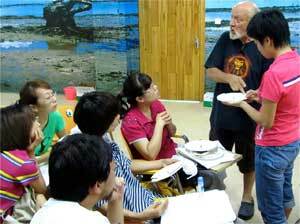 Work began on the long process of translati on and adaptation in the summer of 2009, when Mr. Keeley visited China and the Zhanjiang Reserve at its specific invitation to develop e ducational programs on the environmental importance on mangrove for local schools. 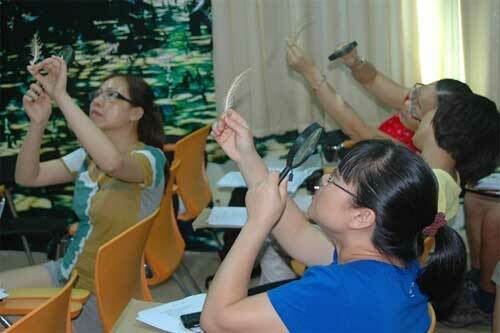 Last summer, a weeklong mini-workshop reviewed translated materials and worked with a core group of 6 t eachers and scientists to ensure that the activities and other materials are applicable for Chinese use. "At that time further adjustments and additions to the content were made, reviewed and translated," Keeley explained. "Now they have gone out for review and we have almost reached the final stage of the publication. The Disney funds will assist us in achieving publication as well as towards the first major Chinese language workshop to be held in the late fall. 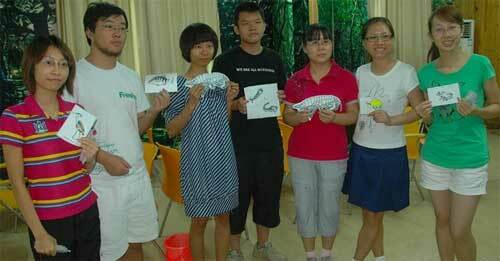 To my knowledge, this will be the first education program of its kind to be held in China. One that is directly linked with local schools and the implementation of environmental principles within the country's education system." New Book Let Them Eat Shrimp by Kennedy Warne!